Consumers want acceptable fuel economy, a comfortable ride, and plenty of convenience features in their new SUV. The best SUVs for summer travel will offer a good combination of these. If you are like many Americans, you want to hit the roads this summer. But gas is expensive. So you want with room for your gear and passengers, the Ford Escape Hybrid is a top choice helping to cut fuel costs with an average of more than 30-mpg in both city and highway driving. The 2012 Ford Escape Hybrid once again leads the SUV pack in terms of gas mileage. With a starting price of just over $30,000, the Ford Escape Hybrid delivers plenty of great features including a spacious cabin and a nice entertainment system. The model also boasts an automated parking assist as an available option. The major drawback for many consumers is the large drop in fuel efficiency when the AWD option is chosen. If you want a new Escape Hybrid, it is advisable to buy one quickly. With an all-new 2013 Escape with a range of engine choices, Ford has decided to not continue the Escape Hybrid for 2013. For those on a tighter budget, Subaru models such as the Forester and Outback also offer a good combination of off-road ability, fuel economy and utility. This model was introduced prior to summer 2011. The Murano CrossCabriolet is a fun summer vehicle that is not only a convertible, it serves as an all-season commuter model. 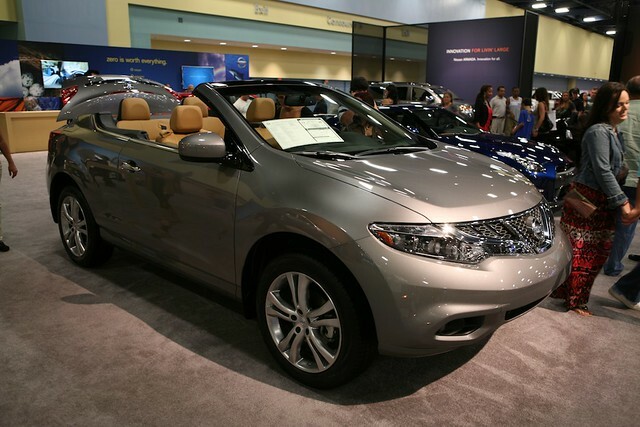 The 2012 Nissan Murano CrossCabriolet features Intuitive All-Wheel Drive and 20-inch aluminum alloy wheels. The 3.5L, 24-valve DOHC V6 engine produces a total of 265 horsepower and the continuously variable transmission makes for easy handling on- or off-road. The starting price for the Murano CrossCabriolet is around $44,000. Buyers can get a lot of gawkers at this unique model their money and will love the rear passenger pop-up roll bars, Bose audio system with seven speakers, and the multi-function vehicle information center that includes a 7-inch QVGA monitor. This summer fun SUV offers less than average fuel economy, however. Owners can expect no better than 22-mpg highway. The main attraction with this vehicle is ease of handling, unique luxurious styling, and sportiness. Buyers interested in the ultimate in passenger comfort on long summer trips will do no better than the Infiniti QX56. This eight-seat luxury SUV is packed with convenience features and provides the cushiest ride on the planet. Both the second and third row of seats have full reclining capability, and the posh interior is loaded with entertainment amenities such as optional video screens and a premium sound system. The new V-8 engine gets about 10 percent better gas mileage than the previous year’s offering. The total of 400 horsepower means complete control over rough terrain and plenty of speed on the highway. The high starting price of around $57,000 may cause some buyers to shy away, but this models holds its value quite well. For those wanting room for a ninth passenger and even more space, the Chevrolet Suburban is the SUV with the most cargo room. Jeep Wranglers are a top choice for summer SUV fun. Once known as the roughest ride in the West, Wrangler has undergone some serious modifications to the frame and suspension on all of the current trims. Even better the new more powerful 3.6-liter 283 horsepower V6 engine offered in the 2012 model is more powerful and fuel efficient than ever before. However, the Wrangler still only manages 21-mpg. But who cares when you can blast over just about any obstacles nature throws at you? The soft-top option is popular for those who want to take full advantage of road adventure on sunny summer days. The base Sport trim starts at just over $22,000 and has full metal doors with roll-up windows, dual front tow hooks and single rear hook, and an easily detachable Sunrider® soft top. With its superior ground clearance and timeless rugged styling, soft top Wrangler Sport remains one of the most popular outdoor adventure SUVs on the market. 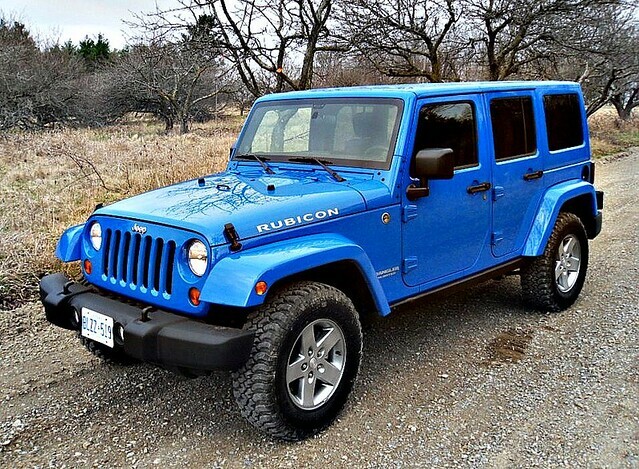 In addition to two-door models, the Wrangler is also offered in four-door trims, for more passengers and cargo space. Another positive for the Wrangler is its historically strong resale value. Worthy competitors to the Wrangler include the Toyota FJ Cruiser and Nissan Xterra. For more information on these models, see our article on the best compact SUVs in the snow. For those with a much larger budget, the highly luxurious Toyota Land Cruiser, Land Rover Range Rover, and Mercedes-Benz G-Class are all very capable off-road models, but these models range from about $80,000 to over $100,000 in price. Which is your favorite SUV for Summer under $30,000?